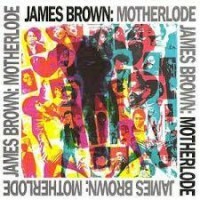 '‘Motherlode’ is a classic James Brown compilation album, primarily focusing on his funk recordings of the late 1960s and early 1970s, & including live performances and remixes as well as studio recordings. This is the first vinyl edition of the 2003 expanded version of ‘Motherlode’, a 2-LP on 180g in a gatefold jacket, featuring a number of tracks never before available on LP. Highlights include a live “Say It Loud – I’m Black and I’m Proud”, “I Got Ants in My Pants (and I Want to Dance)”, the chart hit “She’s the One”, and more.